Coningsby and Pointon will meet in the BB Insure Willoughby Cup final tonight. 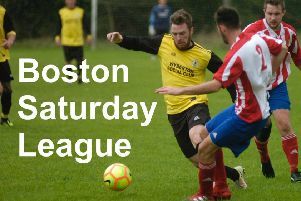 The two Boston Saturday League Premier Division sides will bring the curtain down on the campaign. Kick off at Boston Town’s DWB Stadium will be at 7pm. Match officials will be S. Lea, G. Hurst, L. Crawford and R. Holland.